Union Health Minister J P Nadda inaugurated five Affordable Medicines and Reliable Implants for Treatment (AMRIT) outlets which provide drugs at affordable prices. While Nadda inaugurated one outlet each at Lady Hardinge Medical College and RML hospital in the national capital, the other three outlets in Jawaharlal Institute of Postgraduate Medical Education and Research in (JIPMER) Pondicherry, AIIMS in Rishikesh and AIIMS in Raipur were inaugurated through video conferencing. 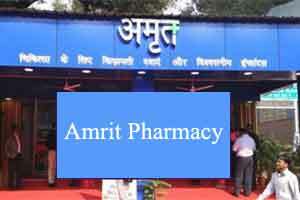 “AMRIT outlets are an important step in reducing catastrophic out-of-pocket expenses. Drugs will be available upto 90 per cent discounts on MRP,” Nadda tweeted. Interacting with pharmacists at the the JIPMER outlet, Nadda asked them to be cordial with patients when they come to the outlets for medicines. Nadda also asked officials of AIIMS, Rishikesh to advertise about the outlet. With the aim to reduce the expenditure incurred by patients on treatment of cancer and heart diseases, the Ministry has started AMRIT outlets which sell drugs at highly discounted rates. Earlier in the day, Nadda also participated in “Clean AIIMS, Green AIIMS” drive, offered ‘shramdaan’ and also interacted with cleaning staff at AIIMS. “Happy to see that AIIMS is participating in the ‘Kayakalp’ initiative of @MoHFW_INDIA with such zeal and dedication. Clean AIIMS, Green AIIMS. Several protocols put in place to keep infection levels at the lowest at AIIMS, as part of ‘Kayakalp’. Commend the efforts of all at AIIMS,” he tweeted. “Noticed a significant change in cleanliness level and other parameters of Kayakalp over last 1 year in AIIMS, New Delhi. Manual cleaning has given way to mechanised sanitation solution. Great work done on ground,” he tweeted. He said that his Ministry intend to rope in AIIMS, New Delhi to mentor other institutions for Kayakalp and provide support for evolving protocols for hospital cleanliness. We are waiting here since an hour.. but the shopkeeper busy somewhere else… Shopkeeper don\’t listen dispite many time calls.